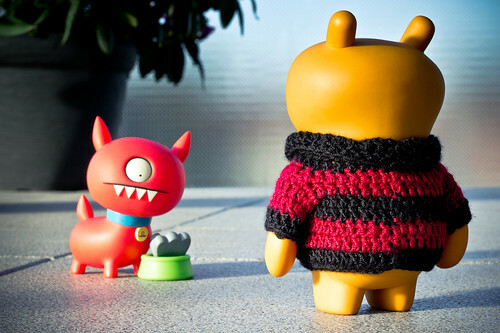 Uglyworld #1536 - Troublers Afoot (Project TW - Image 134-366), a photo by www.bazpics.com on Flickr. With todays being the lasts Sundays before we goes to Scotlands Mireille givereds me a coolers new jumperer to breaks in befores out holimaday, and others than this it was justs like normallers, the quieters day of the week untils this evenings when all hellers breakers loose on the balconys. Doug hads been outsiders enjoyerings the springers sunshines alls afternoon when suddenlies he startereds to barkers like a completes mentaller, so I runnereds out to sees what had gots him so aggrimavateds. I couldn't believers my eyes when I spottereds what was lyings in Dougs bowler, I knows that I was expecterings trouble, but evens in my wildesters dreamies I couldn't have imaginereds this! There is mosts definitelies troublers afoot!